Effective communication is crucial at each level of an organization. It is our conversations and ability to connect with others that are the key determinant of our personal and professional success. However, the most well-meaning, natural conversationalists can experience challenges creating deeper, more impactful transformation with their clients, teams and organizations. Why? Perception is our reality. Therefore, with each exchange that we have, there is an emotional trigger that allows up to open up or shut down. This presentation will explore Conversational Intelligence. 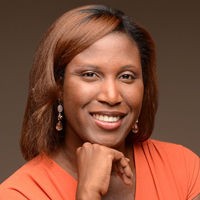 Dr. Samantha Coleman is an award-winning visionary leader, educator and professional counselor. She began her career working in mental health facilities, psychiatric hospitals, crisis programs, and private practices. While working in the non-profit and social service arena, Coleman discovered her passion to improve the lives of others could be best utilized by creating a better system and assisting the future’s most promising resource: young girls. From 2005 through 2014, she founded and led Assist Her, Inc., an Illinois non-profit organization that provided prevention, literacy, and mentoring programs to over 2000 girls ages 10-18. Dr. Coleman’s expertise in leadership, management, systems, culture, career advancement, etc. have found her in the classroom preparing adult learners for their future careers as scholars and practitioners. She has a talent for formulating information into a framework that creates understanding of core concepts. Further, her ability to design, coordinate, and implement seminars, webinars, and conferences make her a sought after thought leader in her field. Dr. Coleman is a graduate of The Chicago School of Professional Psychology (PhD, Organizational Leadership), Concordia University (M.A. Community Counseling) and The University of Illinois at Chicago (B.A. Psychology). Her research interests revolve around Work Engagement and Psychological Capital (PsyCap) which consists of hope, efficacy, resilience, and optimism.